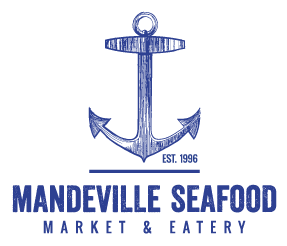 Mandeville Seafood has been the finest locally owned and operated seafood market and eatery on the Northshore since 1996. Our friendly staff is serving up fresh seafood daily to meet the needs of deep-rooted Southern cravings. Our loyal customers refer to us as Mandeville’s best kept secret. We have you covered from shipping and traveling to dine-in and event catering. Any way you go, one thing is for sure when dealing with Mandeville Seafood, you become a part of the family from the moment you walk in. 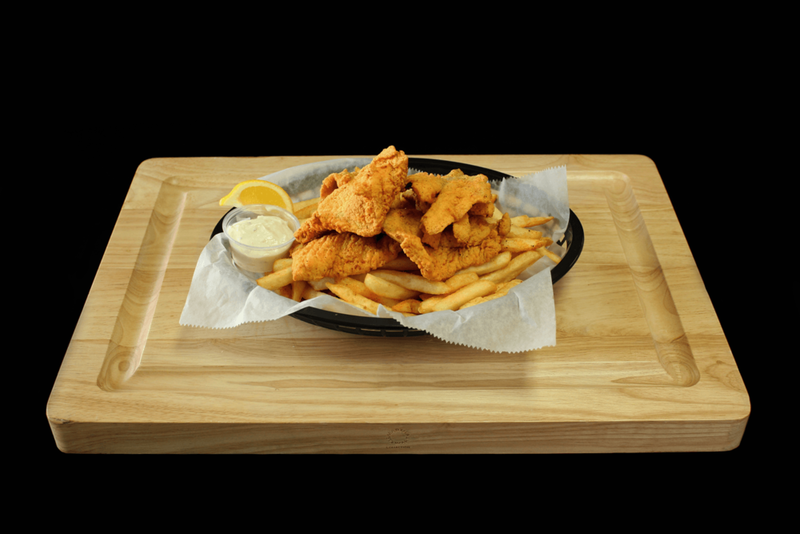 Come pass on by and pick up the Northshore's best valued catfish platter, a delicious po-boy, or a savory cajun soup to see what the fuss is all about. Mixed greens with romaine, croutons and tomatoes. Mixed greens with romaine lettuce, tomatoes, red onions, egg wedges, croutons, and your choice of dressing. Fresh romaine lettuce, croutons, parmesan cheese, and our homemade caesar dressing. Served with fries and a loaf of Leidenheimer french bread. Take out only. Served on toasted French bread & dressed with mayo, lettuce, tomatoes, & pickles. Half sandwiches served on French bread, toast, white or wheat bun. Prices are listed as Whole/Half. Available when in season at market price. 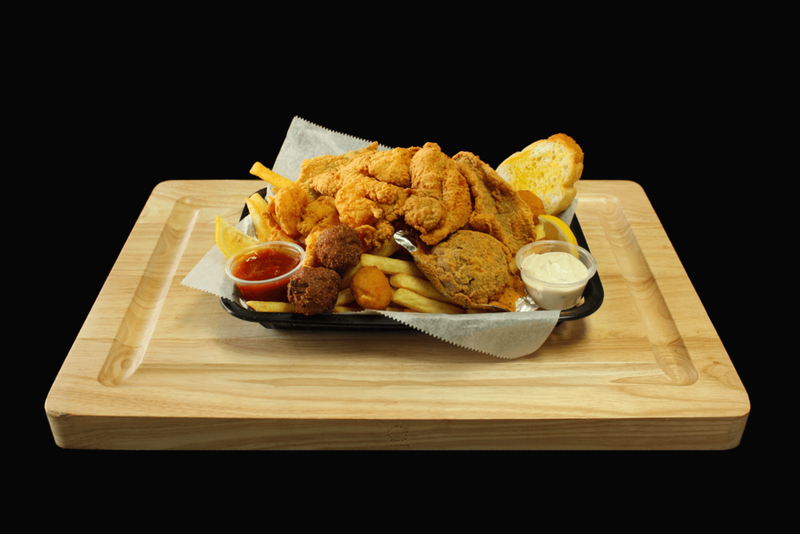 Served with toast, hushpuppies, corn nuggets, and your choice of fries, potato salad or fried okra. Served with fries, potato salad, or fried okra & a fountain drink. 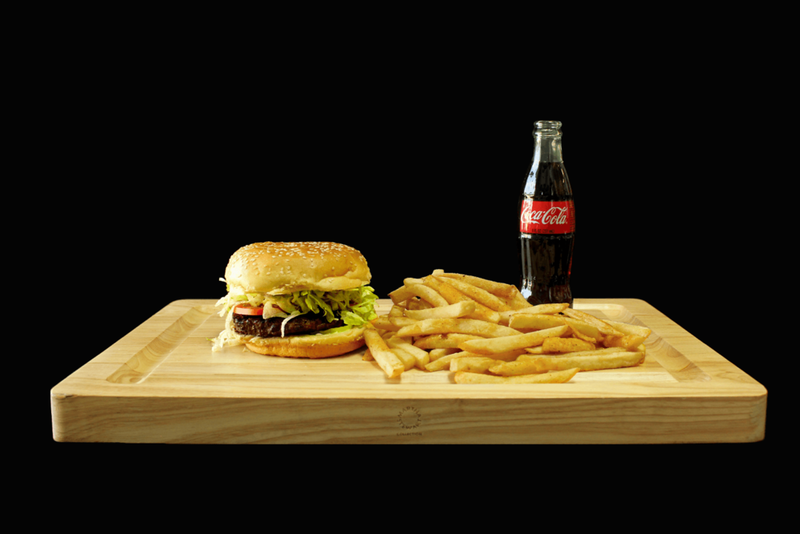 Served with a small drink and your choice of fries, chips, or a fruit cup. A traditional mix of turkey, ham, and roast beef. A mix of shrimp salad, chicken salad, and egg salad. A mix of turkey, ham, and roast beef. Classic New Orleans style; served on Leidenheimer’s french bread. Traditional muffalettas with ham, salami, provolone, and Central Grocery olive salad. Garden vegetable cream cheese, turkey, fresh spinach, and bacon wrapped in a flour tortilla. Sliced into bite-size wraps. 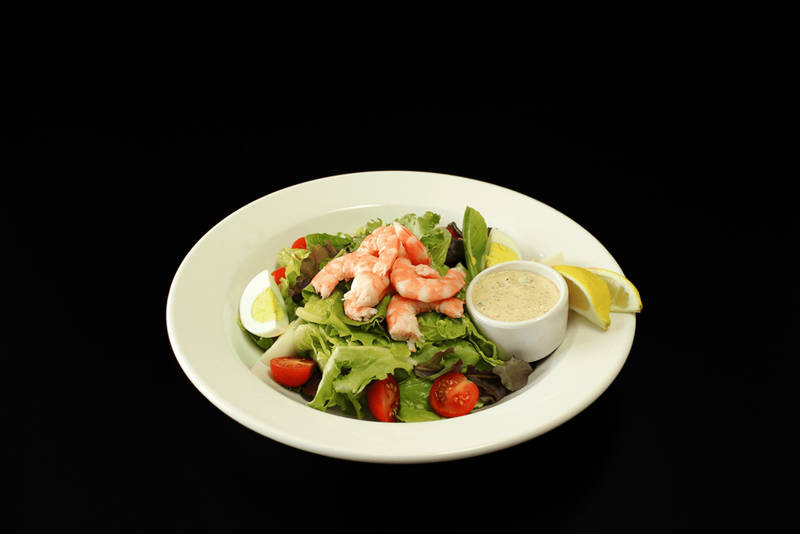 Our boiled shrimp, served with remoulade or cocktail sauce. A creamy mixture of shrimp, herbs, and cheese made into a spreadable dip; served with crackers. Hand battered bite-size pieces fried crispy; served with a side of bbq sauce or ranch for dipping. Our famous stuffed crabs, deep fried into bite-size balls. Served with remoulade or cocktail sauce. Served with your choice of remoulade or cocktail sauce. Stuffed with crawfish, rice and seasonings. Stuffed with beef, pork and seasonings. A blend of boudin, cream cheese and bacon wrapped in a wonton. Served with sweet and sour sauce. Homemade and ready for your oven in half pans. Serves 8/10 people. A creamy cheese sauce with crawfish over penne pasta. A blend of cream, butter, and Parmesan cheese served over penne pasta. Olives, hard salami, ham and mozzarella cheese tossed with a tangy red wine vinegar dressing; served cold over penne pasta. Shrimp, celery, and red peppers tossed in our tangy remoulade sauce; served cold over penne pasta. Grilled chicken over romaine lettuce and penne pasta; tossed in our creamy caesar dressing and served cold.